If you need an inexpensive and fast way to light a scene, one of these photography light bulbs - also known as photo floods - is certain to be a perfect match for you. 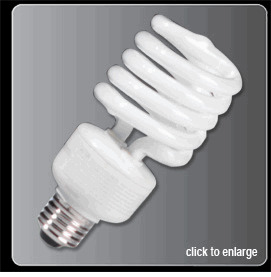 These photo light bulbs have standard medium bases for screwing into lamps, including practical lamps, on set. They can offer fill/ambient light, so they'll lift the light level of a scene for the proper exposure. BarnDoor Lighting's lineup includes options like the tungsten 3200K bulbs and daylight 5000K bulbs, both of which are available in options ranging from 75 to 500 watts. Photographers and cinematographers who want to color balance using the available light on location may choose photography lighting bulbs. For example, if the interior of a house is daytime and sunlight is lighting a room via the windows, opt for select daylight bulbs in the lamps. If the nighttime room is lit by lamps, then the ideal option is a tungsten bulb (3200K). Lighting and production industry innovators such as Osram, Ushio and GE manufacture high-quality replacement photo light bulbs for scene lighting. Questions? Don't hesitate to contact BarnDoor Lighting Outfitters anytime at 1-888-276-3667 or info@barndoorlighting.com. You'll get personalized customer service and the right answers every time.